Over 14,000 Websites use WPOven to make their sites faster and increase their traffic. Some core features common to all plans , read Complete List of features. Dedicated VPS with IP optimized to run Fast WordPress Sites. No limit on number of sites or visits like other similar hosts. Simple pricing with no hidden costs or inexplicable overages. Our Datacenters are located all over the globe. Daily backups on S3 and single click restore for your all your sites. Site analytics for all your sites.Real time Server Statistics for your server. All our sites are by default optimized for Search engines . Firewall , best Security practices and Malware scanning and cleanup are out of the Box. See what our client’s have to say about us. Fast platform and reliable servers are just the beginning. 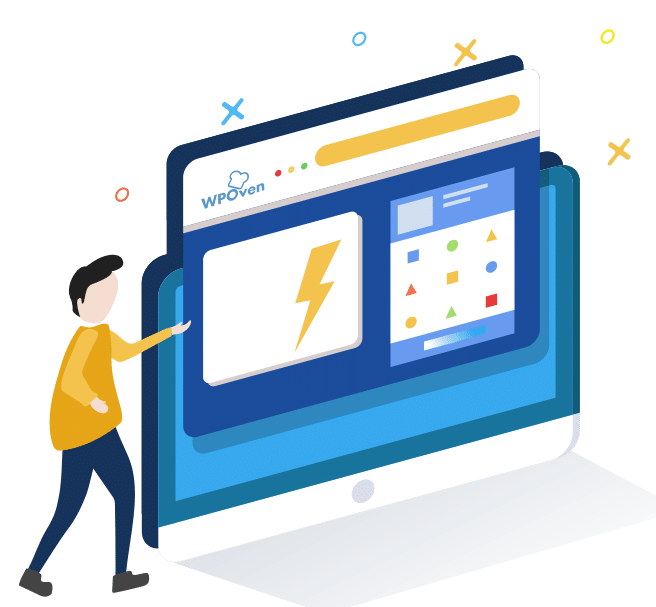 A knowledgeable, quick and incredibly useful support is what really sets WPOven apart from the rest (Before we tried Dreamhost, Siteground, Bluehost and others). In 20-something years of web design, this is the first time that a support service EXCEEDS my expectations. Well done guys, great work. I came to WP Oven at a time when I really needed help because my site was hacked and my hosting company at that time refused to help me. I was stressed and frustrated. Moreover, my blog is my livelihood. Every day that it’s down is a significant loss of income for me. The team at WP Oven were kind, patient, and did everything for me. That included moving my sites and transferring my domains. In the past five years I have had only one downtime of a few minutes. My page speed is always high and I never have server errors. They respond promptly and are always ready to help solve the issue for me. I know that I can depend on them to take care of my website. Period! By far the best dedicated VPS WP hosting services. The service is amazing. A company which truly values it’s customers. Keep up the good work guys! I moved from my old hosting, a dedicated server, to WPOven about 2 weeks ago. The reason why I moved was that, even if my dedicated hosting was nto expensive and quite powerful, the support and assistance was awful. Quite a lot of times I experienced hacker attacks, malware, or simple server problems. My support tickets used to be answered quite quickly but the answer was always that they “could help”. So I decided to move to WPOven. Well. There is not much to tell. These guys are top notch. These guys are A-MA-ZING. The setup of the server have been almost instant. They took care of my website transfers quickly. And they setup everything I could need. They replied to all of my questions promptly and helped me to fix every possible problems. Server is fast. Service is fast and complete. Price is low. it seems too good to be real. BUT IT’S REAL! Thanks guys!!!! I was surprised by the quality and the speed of the WPOven support team . You can forget all the worries related to viruses, malware and other malfunctions. WPOven is there when you want and they do not leave you until they have a solution for you. This is a great hosting company. My sites all work perfectly here. I’ve never had an issue. The dashboard is easy and simple to use. The guys always help me if I need support for a particular plugin. They do a superb job. Highly recommended. Thank you for making my I.T life less stressful! All Managed WordPress Hosting plans come with all the above mentioned features and have no Site or Visit limits. The visit count shown below is just a estimation for optimal performance. Make your WordPress Site Faster , Instantly ! It is not just providing a super fast hosting platform that makes us one of the top managed WordPress hosting. We are also one of the first and few WordPress hosting that set no limits to the number of visits and WordPress site installs on the server. 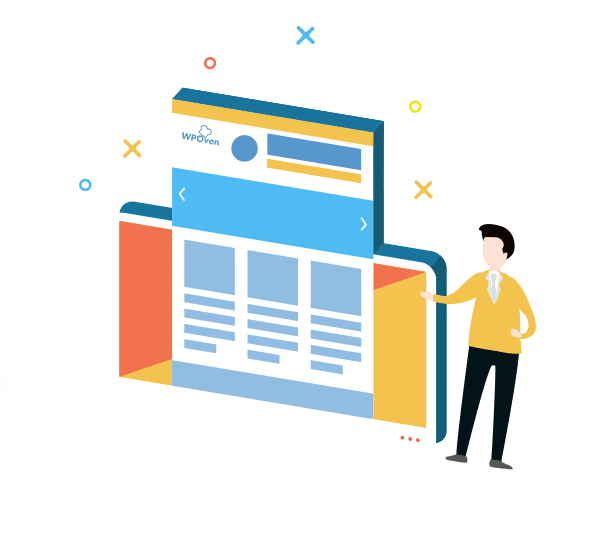 We are also one of the only WordPress hosting companies to provide a free web site builder with access to Premium WordPress Themes and Plugins. 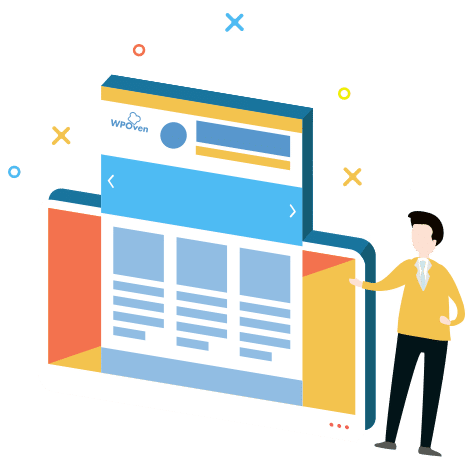 No other Managed WordPress hosting provides a complete end to end white label Client manager platform for developers and Web Agencies. We provide only dedicated resources with our server. There is no shared resources for any user. A perfect White Label solution for Web agencies and WordPress developers. Here at WPOven we do not count or limit the visits for any plan. We offer unlimited visits for all our WordPress hosting plans. Why should I pay extra for WPOven Managed WordPress hosting ? You won't be paying extra, in fact WPOven pricing is one of the most competitive around right now. We do not provide shared servers, we offer dedicated servers for all our plans and we take care of everything from, your server setup to your WordPress and any other problem that you might face, so that you can have time to focus on your business and it's growth. Yes ! We support Multisite on our 'Professional' Plans and above (i.e not available for the 'Tiny', 'Micro' and 'Personal' Plans). Both type of Multisite Installations are supported by us. What is a Staging Site ? Staging allows you to create a copy of your website to test themes and plugins. This allows you to test and try out new things without taking down your main site or can also acts as demo / test site before you point the DNS to the WPOven server after a site migration. Will I have access to the Databases of my sites ? Yes we allow full access to the databases of your WordPress sites. You can access the database using our in-built database manager tool. Our support staff will be more than happy to help you choose the best managed WordPress hosting plan. Drop us a support request with your site details like, number of active plugins, estimated database size and approximate number of visits per month. Do you offer any Discount for annual payments ? Yes ! We offer one month subscription free on every annual plan payment for your managed server hosting plans. So you pay for 11 months and get one year of server Subscription.